1 Choose an iTunes Backup File. 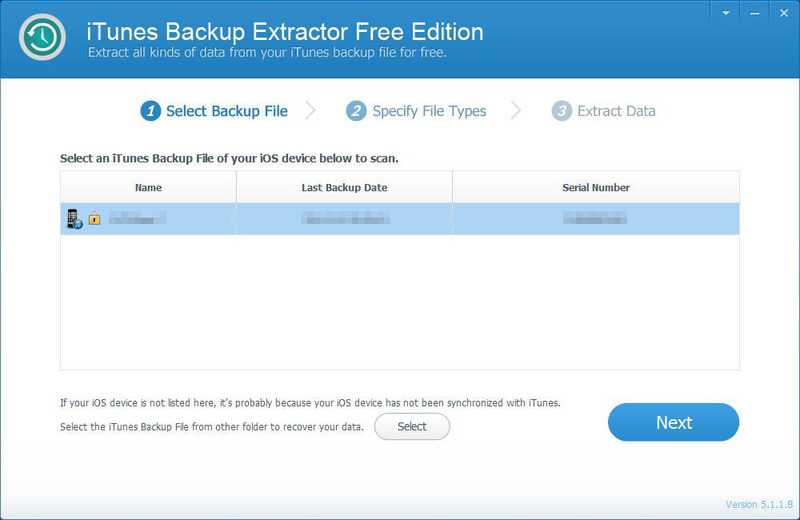 Download, install and run the iTunes Backup Extractor Free Edition on your computer. After the backup files scanned out, select the one you want to extract data from and click the "Next" button to go on. 2 Specify File Types You Want. 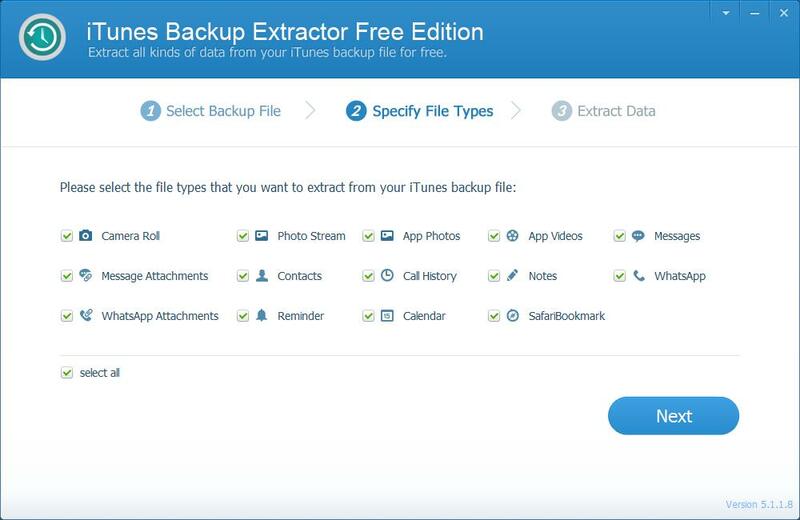 Select the file types that you want to extract from your iTunes backup file, such as, photos, videos, messages, contacts, call history, notes, WhatsApp, etc. Then click "Next" to scan data in the backup. Note: If your iTunes backup file is encrypted, you need input the password to unlock it first. 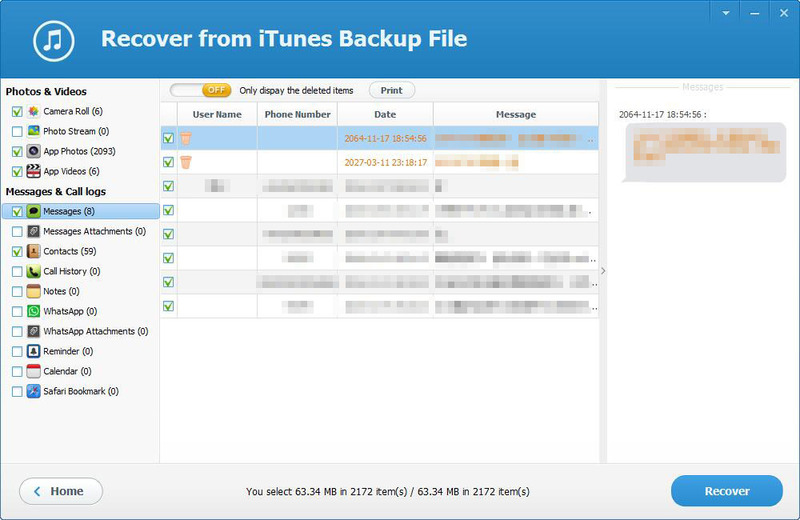 3 Preview and Extract Data from iTunes Backup. After scanning, you can preview all the content of your iTunes backup file listed in the scan result. Then choose specific ones you want and click on the "Recover" button to extract data from iTunes backup. Note: Don't sync your iPhone, iPad or iPod touch with iTunes after you lost data, or the iTunes backup file will be updated and overwritten by the content on your device.